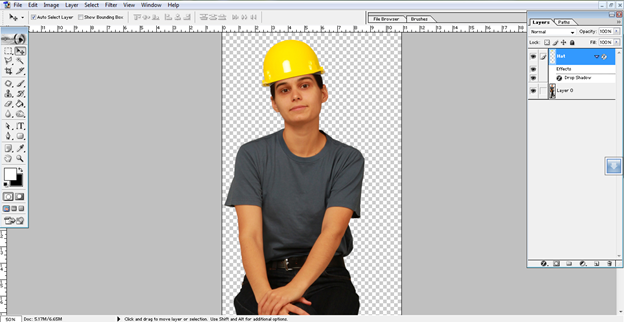 Sometimes you have an accessory or tool, such as a hat, that you’d like to add to a photo of a person. Maybe you have this great photo of Meg, but you’re using her in a safety scenario to train factory workers. 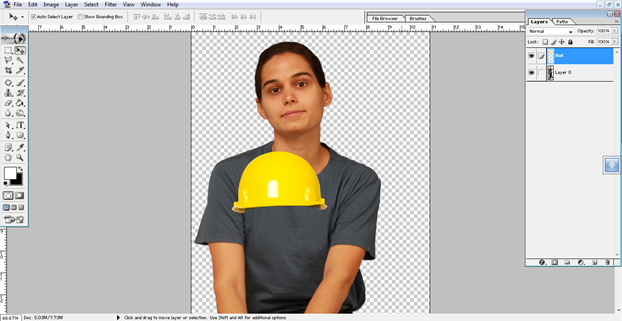 If she’s not wearing a hardhat, you’ll never hear the end of it from your trainees. 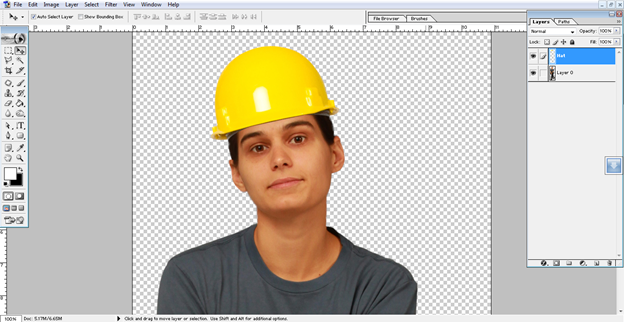 I’ll walk you through how you can make Meg totally safe using either PowerPoint or Photoshop. This is a skill that you can learn in under 10 minutes. And it’s one that every eLearning developer should know how to do. You can also download the source files to do this in either PowerPoint or Photoshop to follow along and practice. I always do a first pass at designing everything in PowerPoint. It’s my go-to design tool. 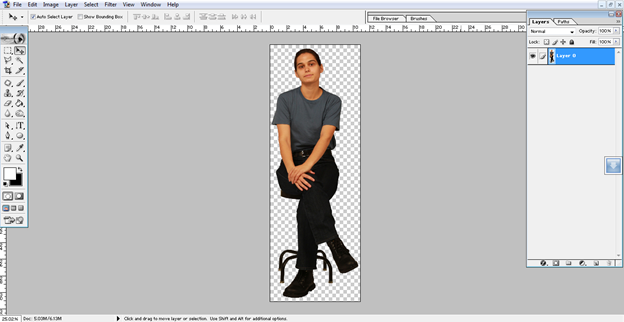 If I can’t do it in PPT, then I attempt it in Photoshop (and I get nervous b/c I’m just not that skilled in Photoshop). For you photoshop people, I had my graphic designer put together a screenshot lesson below. 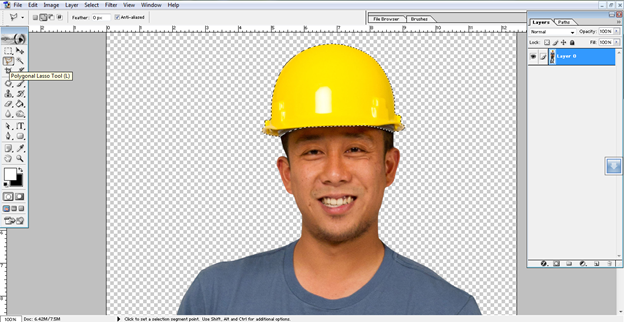 Tip: When selecting your image of the hardhat, try to match the side-to-side angle and the up/down angle so that it will like right on your character. 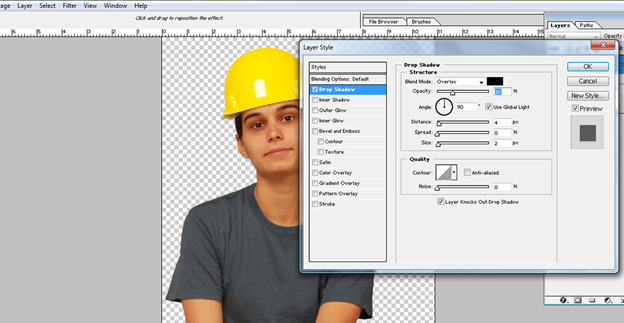 With the hardhat layer selected, click “Layer style” from beneath Layer panel and select the “dropshadow” option. Set blendmode: Overlay, Angle: 90 degrees, Distance: 4, Size: 2. Note: This will vary by image. Below is the final image in PSD form. We’ll now want to save it as a common file type. Bonus step: Impress your colleagues with your new image and pat yourself on the back for making your images work for you! What other practical tutorials would you like to see? 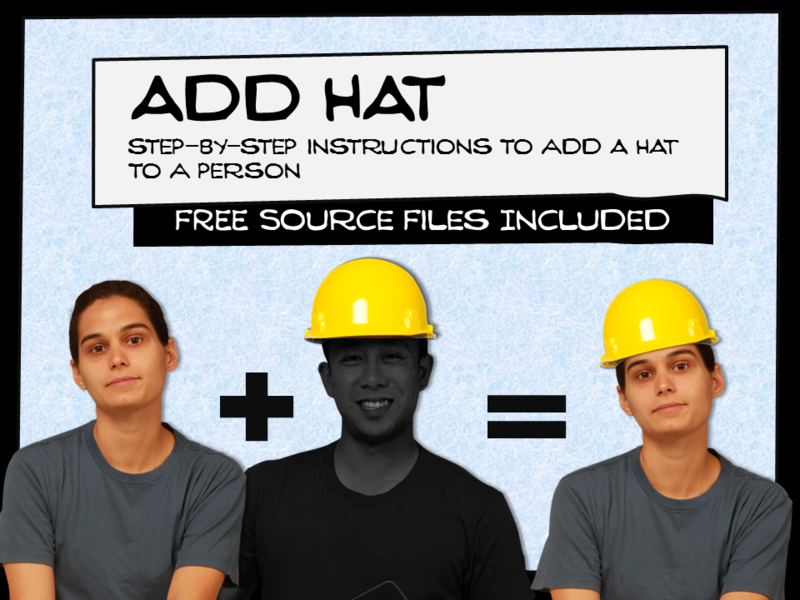 Adding a hat to a person is an important skill to have in your bag of tricks. What other tutorials would you like to see me attempt in both PowerPoint and Photoshop? I would like to see the steps for taking an image of an open book then overlaying your own text on the pages of the book so that it appears as though the text you just posted are part of the pages of the book. Yup! The SMEs will point out PPE issues every time. 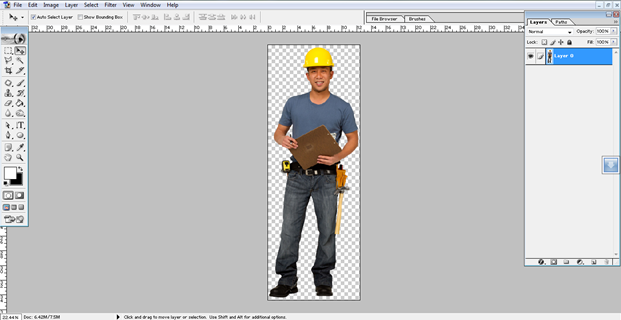 I once had a picture of a model wearing PPE, but didn’t have the right pants in the picture, so I cut out the pants from a different picture and overlayed them on the right torso. It looked great, and no one noticed that the picture wasn’t an original!